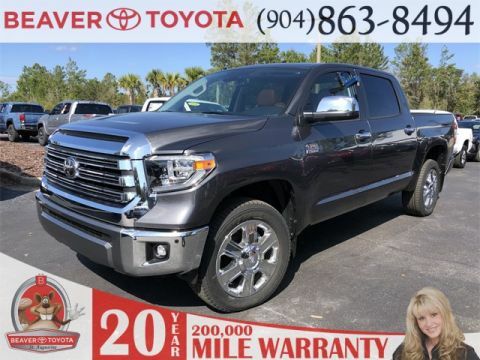 For Jacksonville and Palm Coast drivers in the market for a muscular pickup truck, the Toyota Tundra could be just what you’re looking for! 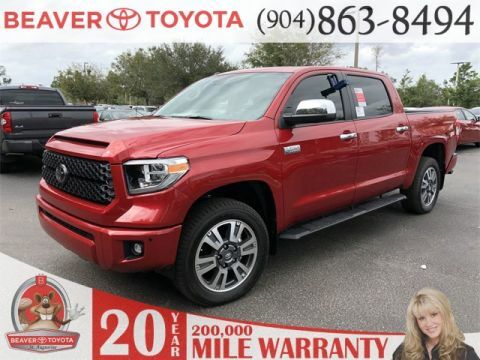 Luckily, you can find it right here at Beaver Toyota, located in Augustine, FL. Edmunds has said that the Tundra is “one of the few in this class that is very serious about off-road performance,” and it’s also won recent awards like Kelley Blue Book’s “Best Resale Value: Full-Size Pickup Truck.” And for those looking to blend luxury features with genuine pickup capabilities, the Toyota Tundra Platinum trim is not to be missed! 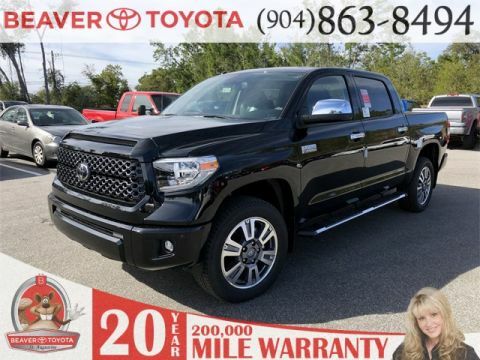 Read on to learn more about this premium Tundra model, and then contact us to set up a test drive! The Toyota Tundra is a confident full-size pickup truck offered with 4×2 and 4×4 drivetrain configurations. Recent renditions have been offered with a pair of available V8 engines, as well as an available TRD Off-Road Package. 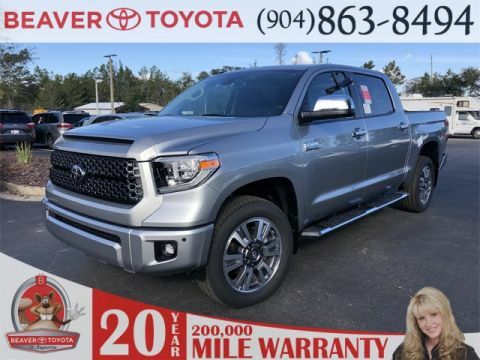 Plus, when you opt for the Tundra Platinum, depending on the model year, you can look forward to luxurious amenities like a power tilt/slide moonroof, black premium perforated leather-trimmed seating, heated and ventilated front seats, and the top-of-the-line Entune™ Premium JBL® Audio with Integrated Navigation and App Suite! Interested in taking the next step? 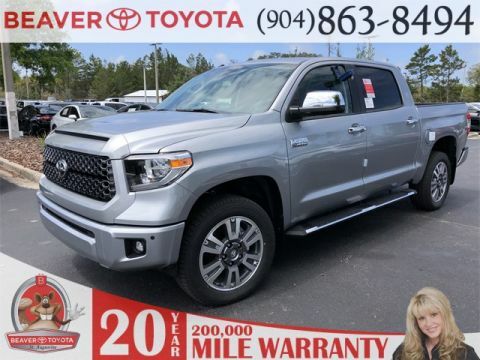 Experience the Toyota Tundra Platinum near Jacksonville and Palm Coast at Beaver Toyota, where you can get quick and easy financing today!